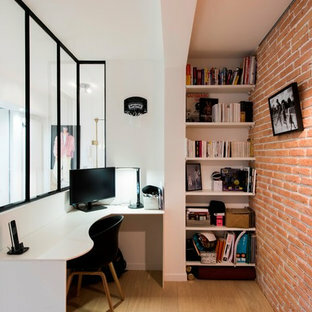 Bureau réalisé sur mesure selon la conception de SK CONCEPT, séparé du salon par une verrière type industrielle, mur déco brique rouge. 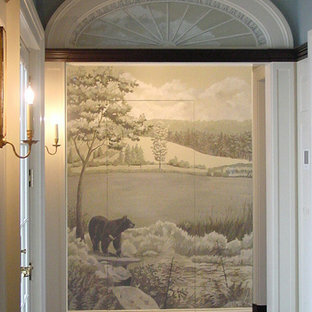 The inspiration for this mural was taken from historic Zuber scenic wallpapers. Muted tones add serenity to this small glimpse of nature. Door lead to Butlers Pantry! Easy Home Bar Plans - Home Bar samples. 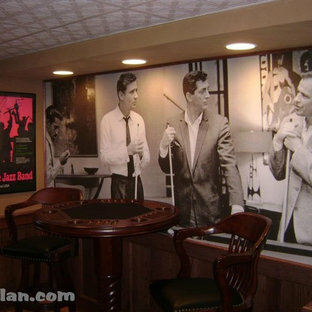 Sample projects of real home bars build by regular everyday handymen and women using our easy to build plans and design ideas. Traditional straight bar, l-shaped, 45 degree corner bar, round bar, bar back and more. Barplan.com has been serving do it yourself builders for over a dozen years. Includes full dimensions, material and cut lists and full builder support site. 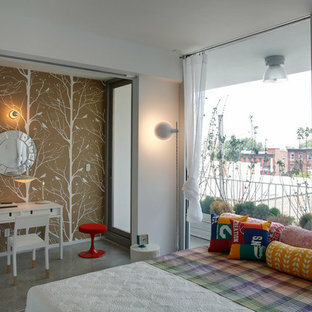 Av Jerry Jacobs Design, Inc. 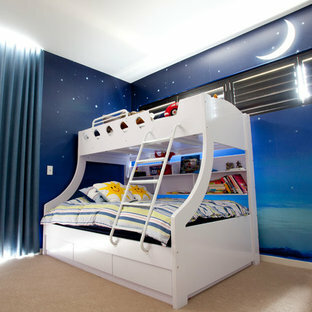 The 4 panel mural cover the previously not atractive closets and electric shaft and panels. It depicts the view you'll see when you turn around. 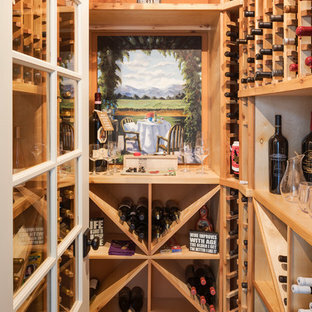 A large alcove was visually opened up with a mural depicting the Tuscany countryside. 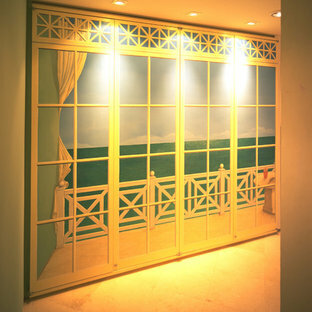 The trompe l'oeil railing matches the one to be found on the staircase. 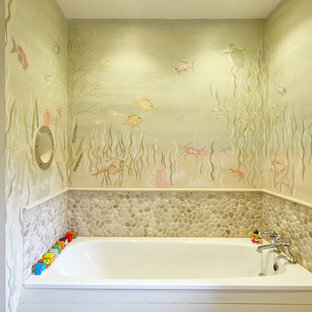 A faux stone surround was painted to frame the scene. 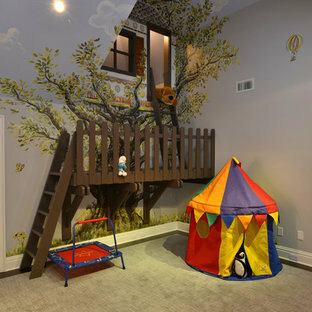 Av The Mural Works, Inc.
Design, custom print & install wallpaper for kid's bedroom. Para el salón de estilo mediterráneo hemos elegido como elementos de decoración una mesa auxiliar con forma de tronco, quinqués de mimbre y cestas redondas de bambú.